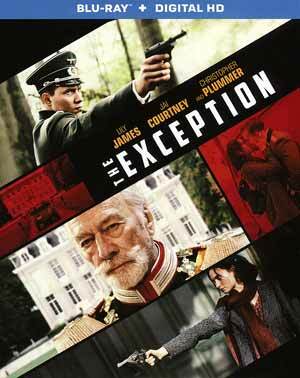 Plot Synopsis: The Exception follows German officer Captain Stefan Brandt (JAI COURTNEY) as he goes on a mission to investigate exiled German monarch Kaiser Wilhelm II (CHRISTOPHER PLUMMER). The Kaiser lives in a secluded mansion in the Netherlands, and as Germany is taking over Holland, the country’s authorities are concerned that Dutch spies may be watching the Kaiser. As Brandt begins to infiltrate the Kaiser’s life in search of clues, he finds himself drawn into an unexpected and passionate romance with Mieke LILY JAMES), one of the Kaiser’s maids whom Brandt soon discovers is secretly Jewish. Quick Hit Review: One of the better surprises of 2017, The Exception is a well made and finely acted World War II-era romance-drama-thriller featuring some solid performances, most notably Jai Courtney, Lily James and Christopher Plummer with Courtney and James sharing undeniable on-screen chemistry with one another and providing an interesting dynamic between the characters, one a German soldier, the other Jewish yet falling in love in spite of the war. The film is from director David Leveaux making his feature film debut with prior experience being in the theater, and is based off Alan Judd’s novel The Kaiser’s Last Kiss and while by no means is this perfect as it does begin to drag at times but all in all, easily worthy of a rental as the characters are great and story compelling enough. This release comes with a matted slip cover and inside is a redemption code for the Digital HD copy. 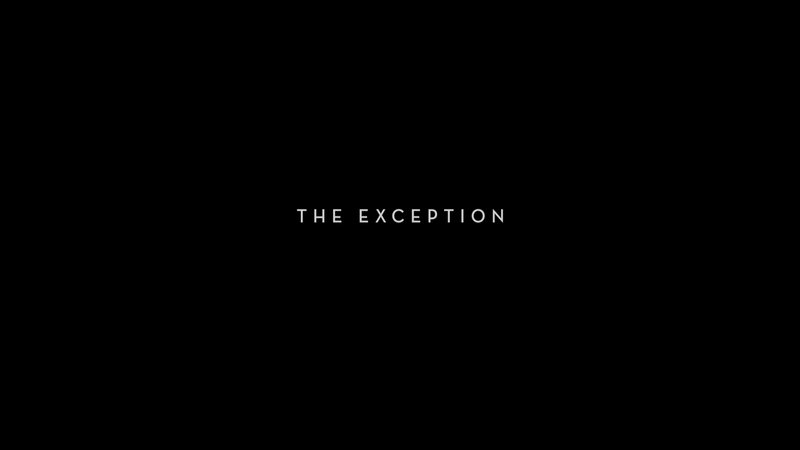 Not much here save for an Audio Commentary with Director David Leveaux and Behind the Scenes of The Exception (19:32) featurette containing not only footage but on-location interviews with the cast and crew. Lionsgate releases The Exception onto Blu-ray presented with a 2.39 widescreen aspect ratio and given a 1080p high-definition transfer (MPEG-4 AVC codec). The picture looks pretty darn good, colors aren’t terribly bright since there’s an almost golden-like filter, but still detail is relatively sharp and outside of some minor banding, it is clean, free of noticeable artifacts and aliasing. The DTS-HD Master Audio 5.1 track is robust, not so much with the action as the vast majority of the film feature quieter scenes, but even in the dialogue rich sequences, such as the dinner, I found the depth to be rather strong, especially when the score would kick in. That said, any surround sound equipment isn’t going to get a workout but as dramas go where there’s only a few gunshots, I was pleasantly surprised. 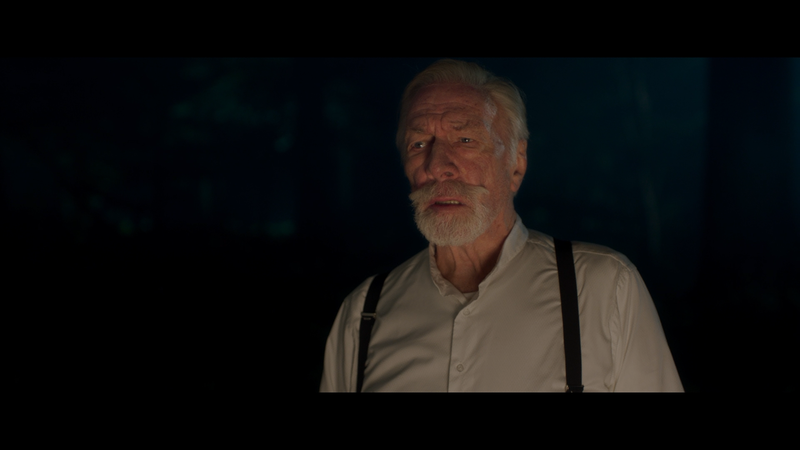 Overall, The Exception is a well acted and finely told story featuring strong performances from Lily James, Jai Courtney – both sharing wonderful chemistry – and the always fantastical, Christopher Plummer. At the very least this is well worth a rental. The Blu-ray released by Lionsgate includes solid video/audio transfers and a limited selection of bonus material.